This past fall, I fully embraced the seasonal pumpkin fad as overdone as it might seem. One of the most exciting pumpkin adventures was the pumpkin cask ale at Brouwerij Lane, a fabulous beer store/bar in Greenpoint. 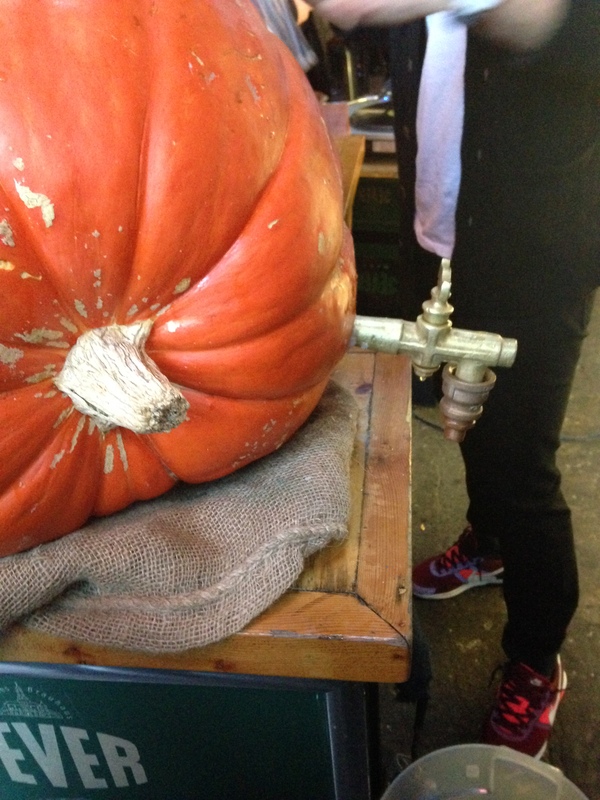 Yes, that is a tap in a pumpkin that pours great beer. I don’t know that I would normally order a beer that pumpkin flavored, but it was totally worth it for the novelty of drinking an ale from a giant pumpkin. Although the weather was a bit nippy, there was a small outdoor area with communal picnic tables. In addition to a wide selection of bottles, they always have a rotating selection of draft beers in sizes from samples to growlers. The staff is always friendly and knowledgeable. If you are in the area, Brouwerij Lane is a great place to check out for craft beers. In addition to trying pumpkin in public, I also made my own pumpkin delicacies. 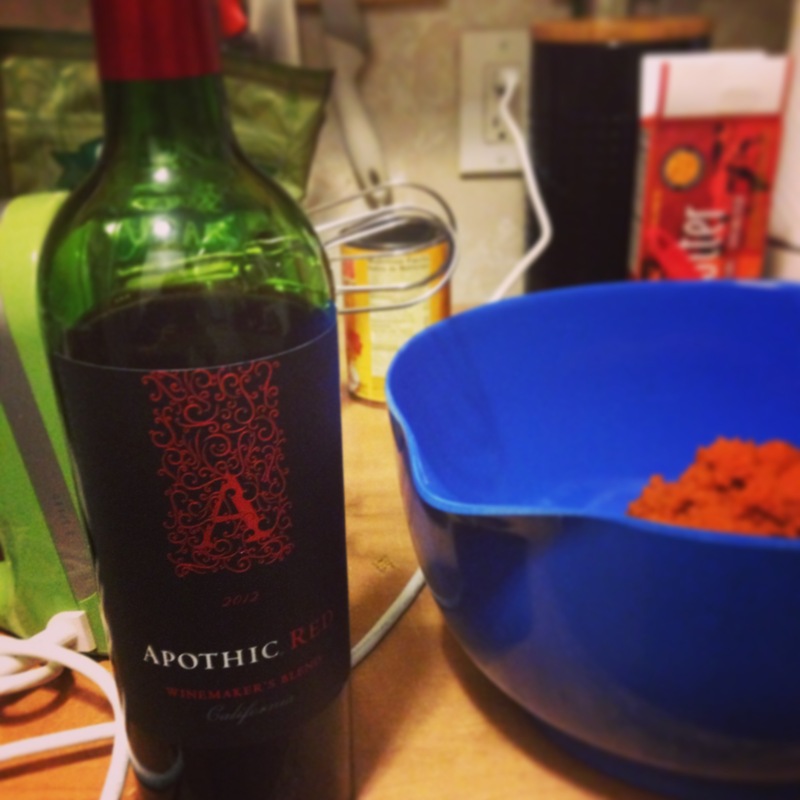 Here, I might have been a bit more focused on my Halloween-esque red wine, but I was actually making pumpkin snickerdoodle cookies. I used this recipe, which made some seriously fluffy, delicious cookies. What I really like about these cookies is that they are a lot of fun to make. Also, I feel like the taste of pumpkin is just a nice after taste, it doesn’t overwhelm the cookie. The red wine was pretty good, too!